This Irish Santa figurine is a musical Christmas decoration that you wind to play When Irish Eyes are Smiling. Sorry, this Irish Santa is now sold out. Wind this musical Irish Santa decoration to play the melody to When Irish Eyes are Smiling. The Irish Santa features a pipe and cane along with a stack of gold coins by his foot. 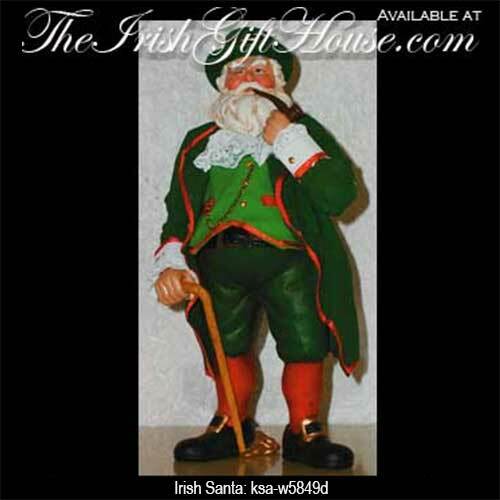 The winking Irish Santa figurine measures 10 1/2" tall and is made of Fabriché by KSA.